Saturday August 25, 2018 - Deputy President William Ruto has said he is the next President of Kenya despite efforts by pollsters to mudsling his name. Addressing Jubilee supporters in Namanjalala, Endebess and Kaplamai in Trans Nzoia County on Friday after officially opening Lessos-Kolongolo-Chepchoina Road, Ruto said his opponents have resorted to using newspapers and opinion polls to distract him. “The time my competitors were gathering opinion polls and publishing fake news on newspapers, I was busy planning on how to construct roads and connecting water to peoples’ houses,” the DP said. 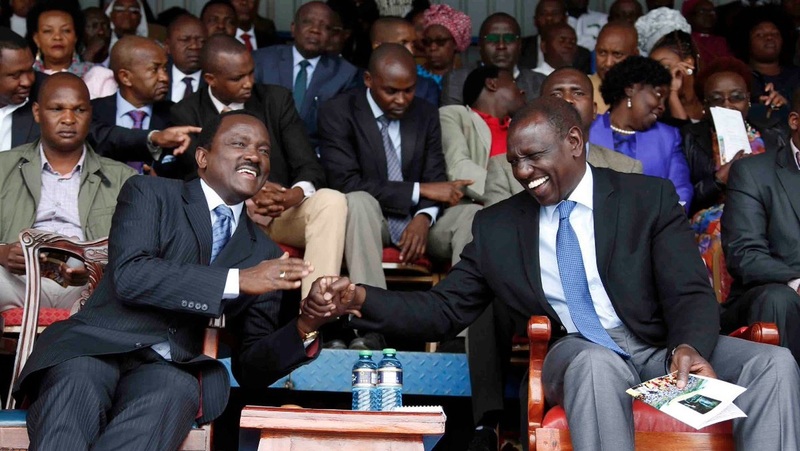 Ruto said he will unite with like-minded leaders to get support from other communities to ascend to State House. He also urged Kenyans to ignore opinion polls because they are authored by malicious politicians who have no development record. “Those financing opinions polls have no development track record,” the DP said. 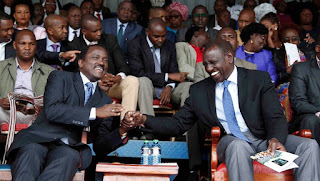 On Wednesday, an opinion poll released by Ipsos Synovate showed that Ruto is the most corrupt person in the country followed by Kirinyaga County Governor, Anne Waiguru.